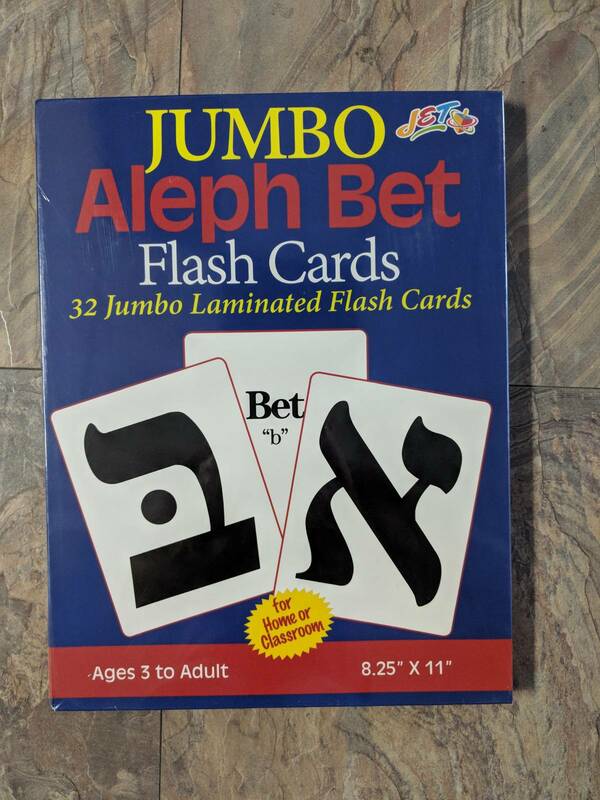 Learn the alef bet with these jumbo size flashcards. 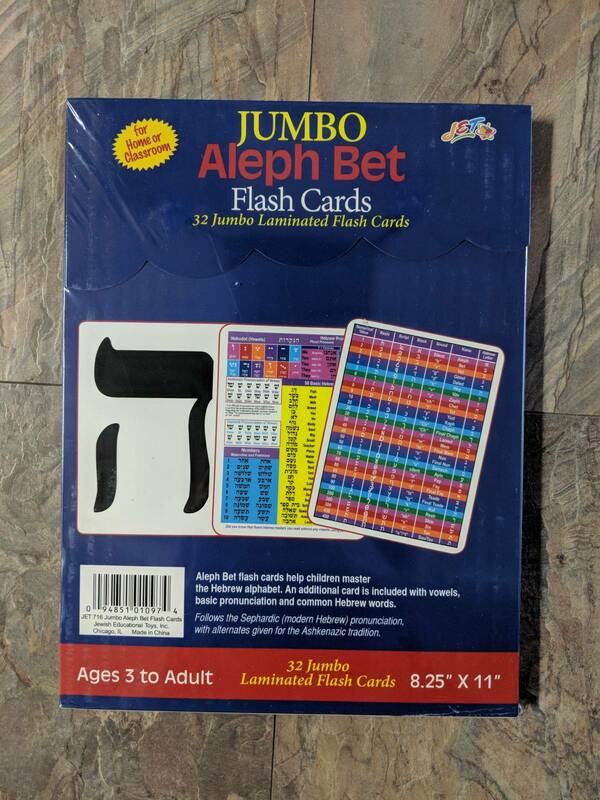 Guides to pronunciation of the letters on the back of each card. Cards are 8.5" x 11"